Sorry for the delay and sketchy landing from up the coast folks. I can’t see much through the fog of The Inner Harbor of Baltimore. Only one civic landmark is visible at the moment. An odd bedrock of the wrestling community. Especially when fans consider that no matches have ever taken place there. Competition is not the building’s purpose. Family, friends, and some of the best seafood in the country await. Not to mention a decades-long reputation for taking care of fans and performers within the art form. I called ahead and reserved the entire restaurant for us. I’d like to welcome my passengers to Jimmy’s Famous Seafood before this week’s SmackDown Live. After a solid meal of linguini and clams, I join my passengers for a nice walk over to the arena, and we find our seats just prior to The GM’s music hitting, nice timing! Paige never does a bad promo. She had to mention Sunday’s clusterf*** and she was struggling to save it. Same formula as Monday Night Raw. Two Money in The Bank qualifying matches on the men’s side. One for the ladies. Qualifiers would bookend the show. An old was used to rivalry kickstart things. Very slowly, Vince is getting better at small stuff, like letting wrestlers wrestle. This time, The Miz and Jeff Hardy were in prime position to show off. When Jeff is clean and focused, he can still put on a great match with anyone. As much as I hammer Mike, he is a decent performer. I guess osmosis works if you stick around long enough. At the beginning, the questions were duration and outcome. A good match for over 20 minutes is always a treat. The hour glass flipped several times. False finishes on both sides; including the final pin, which happened when The Charismatic Enigma hit a Swanton Bomb. Unfortunately for Hardy, the way he pins people sometimes leaves him vulnerable to a counter. Mike pulled Hardy’s shoulders from his chest to the mat for an excessively quick three-count. For this veteran smart mark, it can feel like refs stop their counts or change cadences, I hate it! Next was a fun backstage segment that led to a match. The Bar and their new t-shirts were talking. For some reason, there was a copious amount of food involved and for some reason it worked. Sheamus was using Lucky Charms as comfort food to cope with his loss to Xavier Woods because he’s Irish and why not? Cesaro was laughing at him until The Celtic Warrior dared him to defeat Woods himself. Right after The Swiss Cyborg agreed to take up the challenge, both dudes open their gym bags to find them stuffed with pancakes! God Bless The New Day! The match itself saw Cesaro get the win after a couple of mini-schmozes. 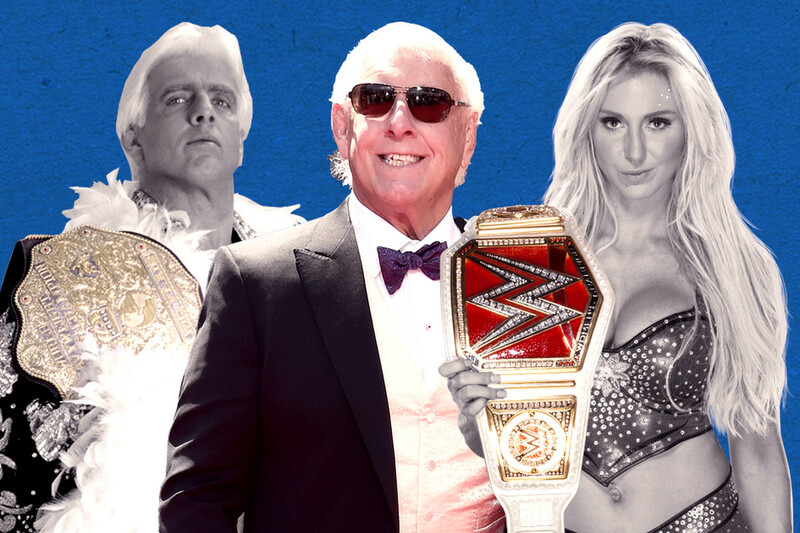 Okay, if there is one thing I know about history of the art form in the place where SmackDown originated from this week, it is this: Ric Flair OWNED Baltimore throughout his major runs on top. Even Vince McMahon must acknowledge that. With this backdrop, there was no way Charlotte was losing last night. The IIconics have talent and are growing professionally, but Peyton Royce is not a bigger draw. 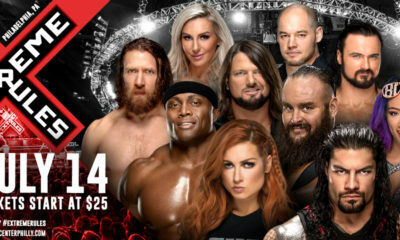 Of course, Charlotte’s going to Chicago and Money in The Bank. PS: Mandy Rose beat Becky Lynch when The Lass Kicker forgot how to hold on to the top rope. Corey Graves had a heart attack and wishes he wasn’t married. Throughout the night, only two promos are worth reporting on. The ones surrounding WWE Gold. Rene Young actually did her job! Shinsuke Nakamura can speak English! Who knew? When The Con Artist was pushed, he said AJ Styles was ”nuts” and he wasn’t finished with him. Styles’ response was direct. This is about the title. As long as Shinsuke wasn’t done, he would be ready to defend the strap in his house. Paige herself said she mishandled the making of the No DQ Match at Backlash when she didn’t close all possible loop holes. Though it is interesting to hear an authority figure say this. No, she didn’t. ALL millennial sheep bitching about this: LISTEN UP! Before monthly PPVs sped everything up, big programs were booked just like this in the territories to DRAW MONEY! Payoffs couldn’t happen right away. This is nothing more than an old school nod to the territories. 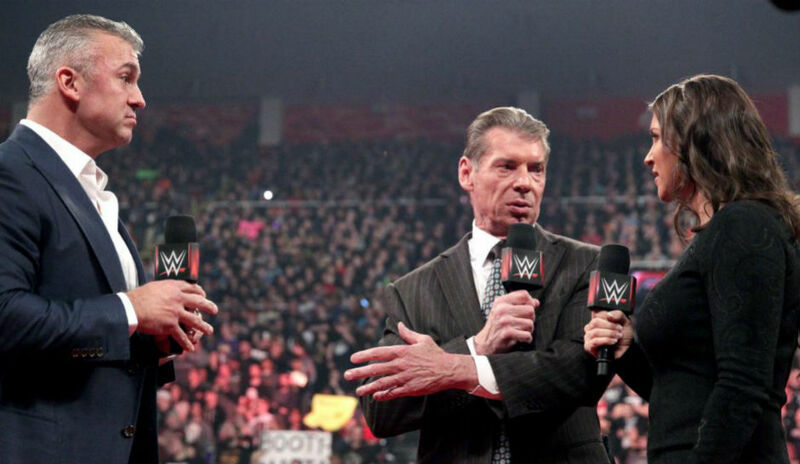 I am gladly shocked Vince has gone this far with it. Calling my shot: A Cage Match will close this feud properly. GET OFF MY LAWN! The night closed with Daniel Bryan facing Rusev in a Money in The Bank Qualifying Match. With Bryan just coming from defeating Big Cass at the dumpster fire known as Backlash, a win seemed almost assured. Stamford hasn’t used The Bulgarian Brute correctly in what feels like forever. The Leader of The Yes Movement was able to get most of his offense in and look alright doing so. I am unsure if it’s a medical precaution to keep Bryan out of a ladder match right now. 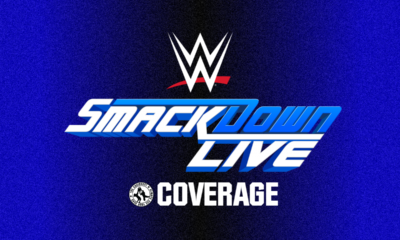 The SmackDown Live audience; myself included was floored when Rusev went over clean. Daniel looked downright depressed as the show went dark. This could be a very strained and weird summer for Vinnie’s Circus. Now if you’ll excuse me, I must find my passport.